My Logan loved the Indianapolis colts. For many years, we had season tickets to watch Peyton manning play. It was a large family event every week. I would prepare food for 6-8 hours the day before the game. Every week for ten games, we hauled two tailgating grills and tons of food that I had prepared for 20-50 people. Logan LOVED every moment of this experience. He knew the RCA dome like the back of his hand and was truly one of the colts biggest fans. 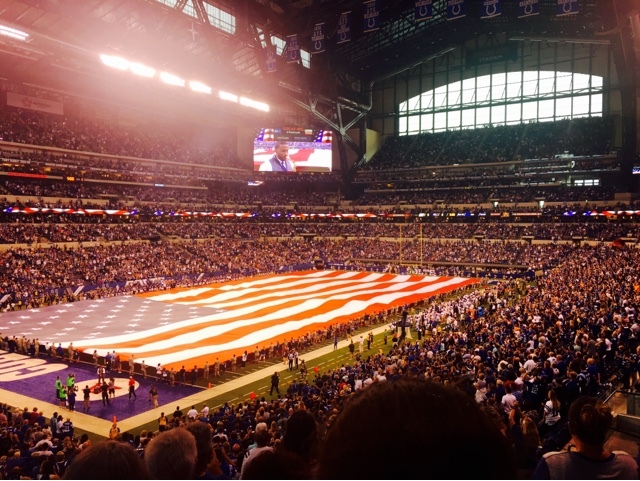 Yesterday I had the opportunity to enjoy the first Colts preseason game. Although Logan died shortly before the new Lucas Oil Stadium opened, the family memories and stories of Logan were in my every thought. Although I was with wonderful friends, I recognized that it would be awkward for others if I verbalized all of these memories. Few topics dampen a celebration more than mentioning your dead child. 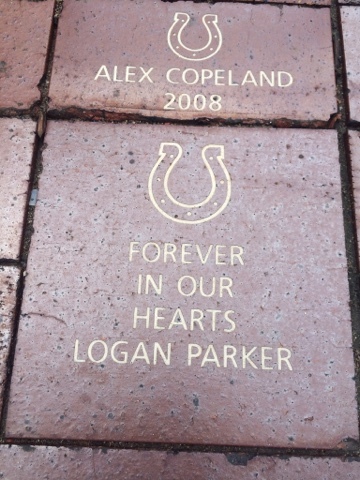 If one of my living children loved the Colts as much as Logan, that would have been an appropriate topic of discussion. We could all laugh at the silly stories. Although the thoughts of Logan now make me smile, they are guaranteed to toss a wet blanket on the atmosphere. I do not desire to have others sad. I opted to keep these treasured memories for myself. 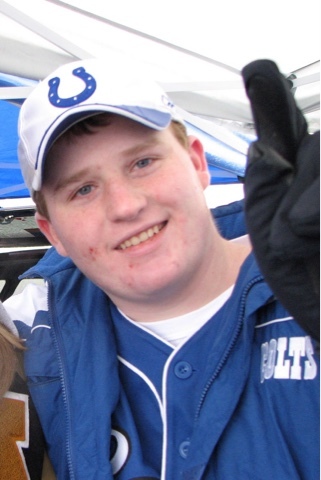 As the Colts came onto the field and we cheered the unofficial beginning of the new season, I remembered my son. I was also purposefully respectful of society's expectations. I celebrated the fact that he had the opportunity to have these cool life experiences for a short season that was his earthly life. After all, I firmly believe that the journey of life is what we should celebrate daily. A new anniversary and a new lesson. Once again I am on a plane. I often wonder if anyone listens to the flight attendants standard emergency information that is stated prior to takeoff. Today, I actually listened to portions of the instructions. "In the event of an emergency, take the oxygen mask and hold it to your face. If you are with others, hold the mask to your face first." Why did this capture my attention? When Logan died, I was barely surviving. For the first time in over 20 years, I really could only focus on myself... because I was in survival mode. I knew that I needed to focus on my living children but I could not think about anything else except the unfathomable reality that Logan died. Logan's death oozed out of every pore of my body as I deeply mourned him. I now understand that it was also important to "give myself oxygen". At this place in my grief and in my life, I firmly understand the importance of early intervention for families after the death of a child. It was frightening to feel completely lost as I floated out of control in those dark and uncharted waters. As I was in the process of "giving myself oxygen," I did not feel very maternal. I was broken. I had been shattered into a million tiny pieces. My children needed oxygen. I needed oxygen. We all needed encouragement during the first days, months and even years after Logan's death. We all lost Logan. My daughter lost her brother. My son lost his brother. Logan's father lost his child. I lost my child. Logan's death was life altering for each of us individually in different ways. Grief is often very divisive. Grief is a journey that can only be taken alone. On July 23, we marked the nine year anniversary of Logan's death. I once again realized that I needed encouragement for these days too. My mind was foggy and I was antsy. I felt like the princess and the pea-with the pea under the mattress, I remained restless. On the anniversary day, I flew to visit my parents in Louisiana. After arriving at their home, I was surprised with the delivery of a beautiful bouquet of flowers. 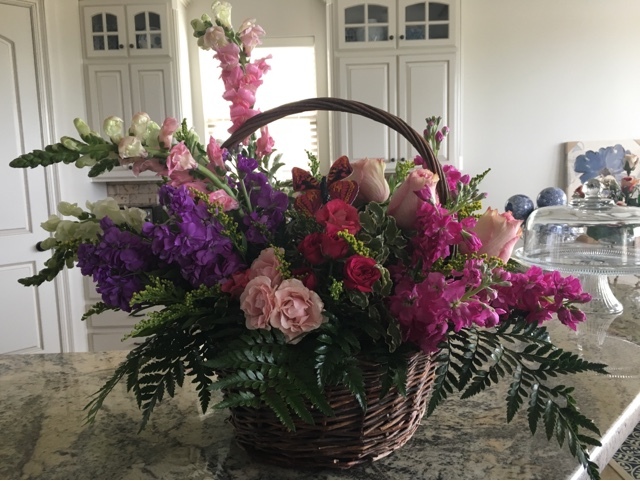 My daughter and son in law had sent these flowers with the following card "You are the strongest and most wonderful mom that we know! We love you forever!" I smiled through my tears as I read the words on this card. Often, I have felt tremendously weak as I recognize my regrets and failures. Survival mode is scary and is miserable. This anniversary ended differently. I had the big ugly cry that I needed when I remembered in detail that horrible, life altering, and tragic day. This year the day did not end with sorrow. This year I was given a gift. The flowers were beautiful but the true gift was her words. This year my daughter helped me recognize that I really have been strong. How was I strong? I continued to put my feet on the floor ever single day as I embrace the mantra "grieving forward". My daughter helped me understand that it was natural that that I needed oxygen too.